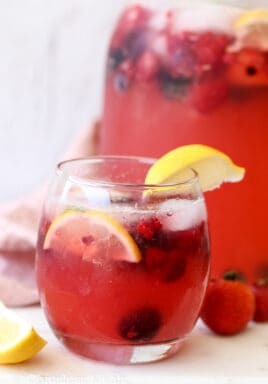 This Sparkling Berry Lemonade is so refreshing during hot summer days and always a huge hit at parties for adults and kids alike! You’re going to love the combination of mixed berries, lemonade and club soda. My Sparkling Lemonade uses minimal ingredients and is so quick and easy to make – the perfect summer drink! 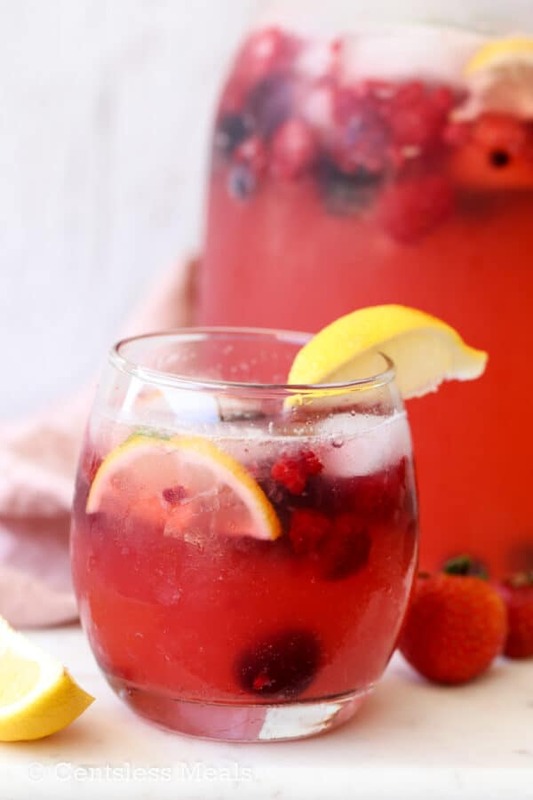 This Sparkling Berry Lemonade is such a quick and easy recipe to prepare. The prep time is like five minutes and the results are wonderful. 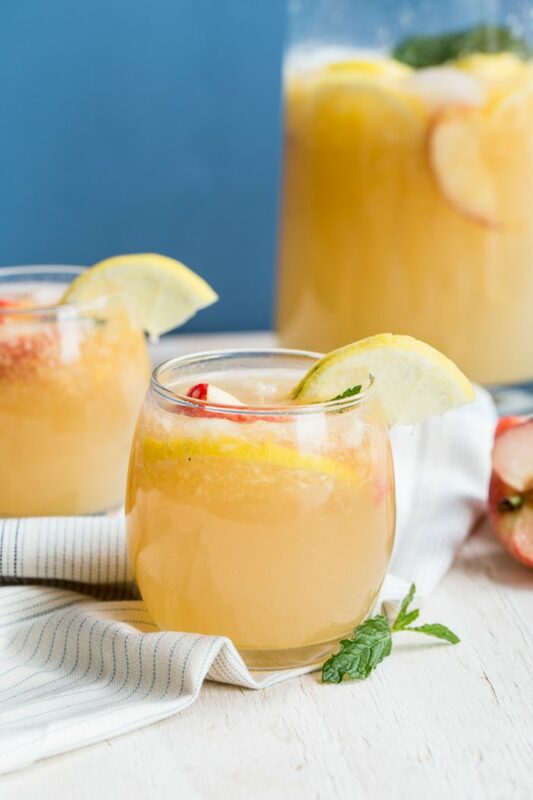 This lemonade isn’t overly sweet and not too sour, so it’s a perfect balance of sweet and sour! 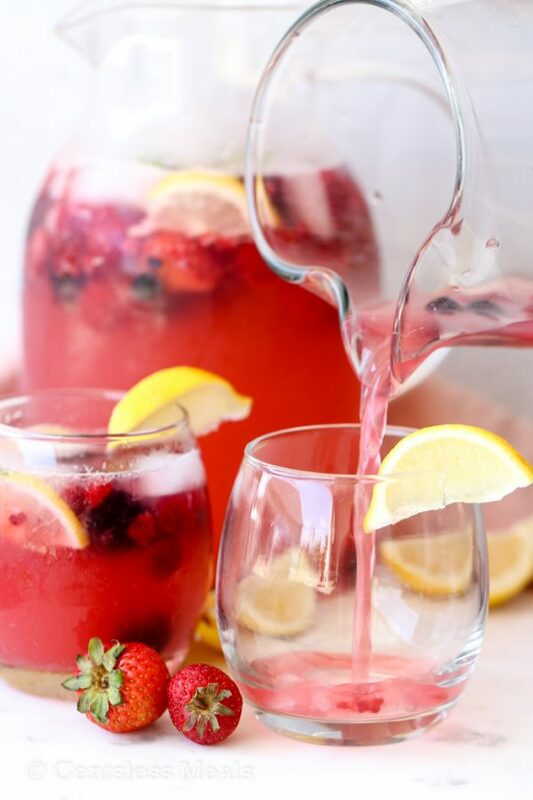 The added berries of choice adds so much flavor to this sparkling lemonade. What kind of berries can I use? 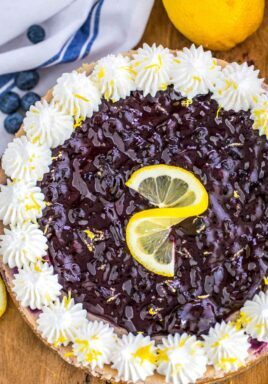 You can use your favorite combination or whatever you have on hand; raspberries, strawberries, blackberries or blueberries are all great. Kiwi and strawberries are also a favorite combination. 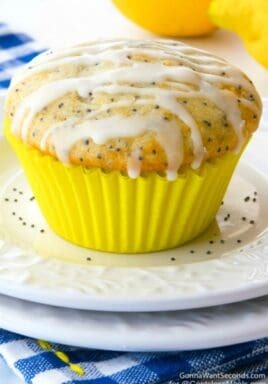 Add fresh lemon slices for appeal and the fresh lemon taste. Yes! 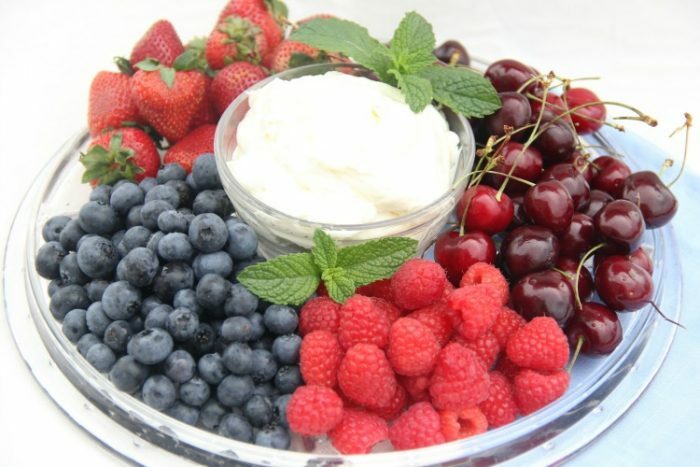 Frozen berries are great in this recipe. In fact, I used frozen mixed berries in this recipe. No need to thaw them, just add them in frozen. Can I substitute club soda? Yes, you may definitely substitute the club soda. You can use mineral water or seltzer water instead if desired. What kind of lemonade can I use? I used frozen concentrated lemonade in this recipe, it works best with the club soda and they balance each other. If you don’t like the concentrated lemonade, you can use your favorite lemonade and add a freshly squeezed lemon to it, which will work just as well. Lemonade is just perfect for hot summer days! Serve it with a platter of fruit and dip for a super charged, refreshing treat! I hope you love this Mixed Sparkling Berry Lemonade. Don’t forget to tag us on social media if you make this easy drink! What is your favorite summer drink? Share in the comments below, I’d love to hear about it! This Sparkling Berry Lemonade is so refreshing during hot summer days and always a huge hit at parties for adults and kids alike! 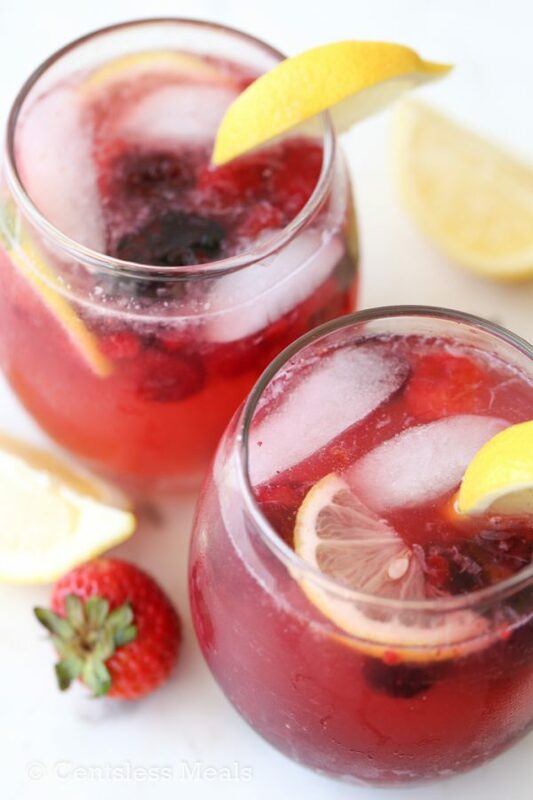 You’re going to love the combination of mixed berries, lemonade with club soda. In a pitcher pour in the minute maid lemonade. Pour in the club soda, and mix. 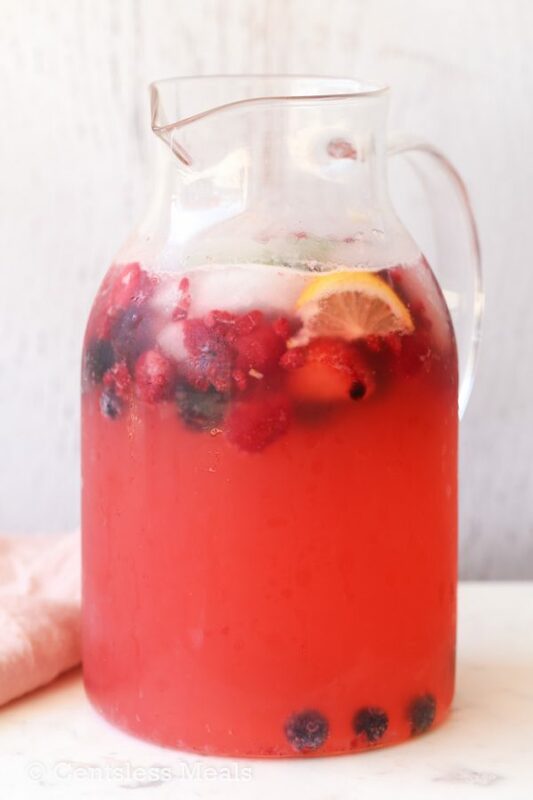 Add the berries and lemons to the pitcher and mix. 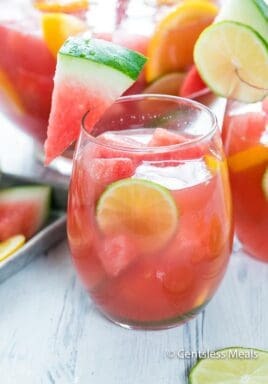 REPIN this Refreshing Drink Recipe!